Feeling Hungry? REALLY HUNGRY? We have the answer for you! This week our Chefs are preparing a truly delicious (and a little spicey) Vegetarian Curry. If Veggies and Curry aren’t your flavor, Chef is making a extra yummy Sweet and Sour Pork. And of course we will have beautiful Roasts, Pastas, Casseroles and so much more to choose from. All of this at the great value price of $22 for Adults, $11 for children aged 7 to 13 and children 6 and under eat Free! 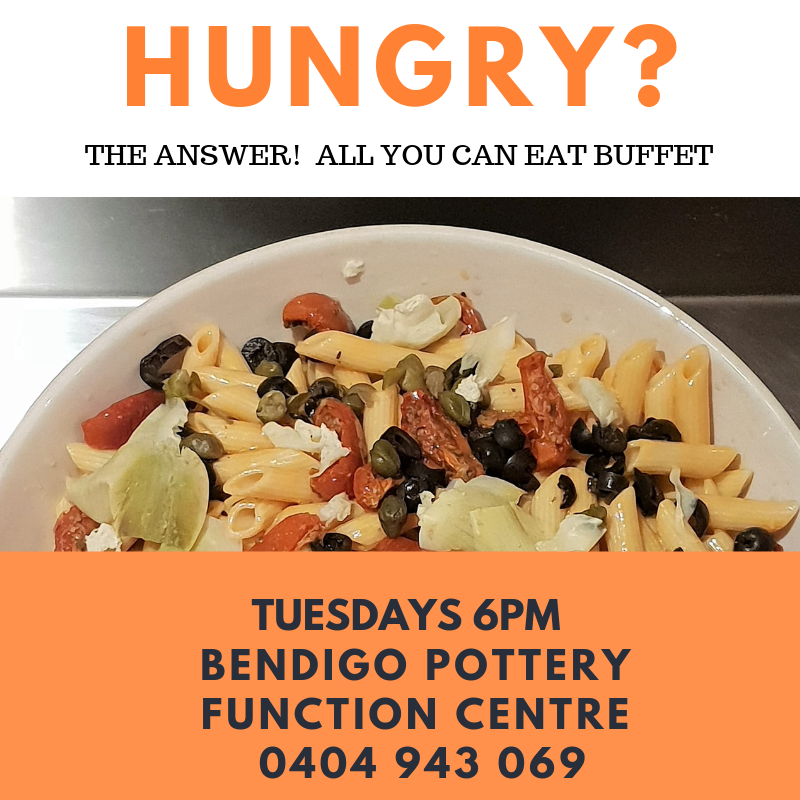 All you can eat Buffet, 6pm every Tuesday at the Bendigo Pottery Function Centre.